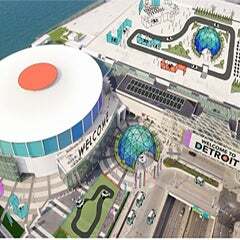 DETROIT September 7, 2013 -- Thom Connors, SMG regional vice president and general manager of Cobo Center announced today the completion of the adaptive re-use renovation of the former Cobo Arena. Opening to VIP customers and media at an event designed to showcase the capabilities of the transformed spaces, the new Grand Riverview Ballroom and adjacent event areas were filled with audio visual displays, event decorating options, acrobats, bands, choirs, food and beverage selections and many other displays to fill the senses and maximize event success. 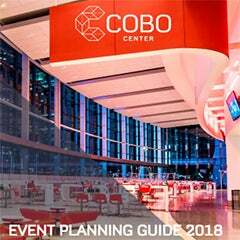 Construction began in February 2012 to transform the 12,000 seat Cobo Arena into the new, glass enclosed events spaces that open up the facility to floor to ceiling views of the Detroit River and Windsor, Ontario. The entire $279 million renovation began in September of 2010 and is expected to be completed by 2015. 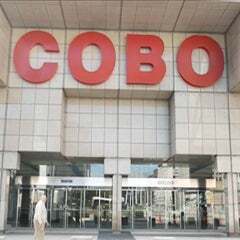 The final phases of the Cobo Center transformation will include: a TV broadcast studio with satellite up-link capability; giant exterior video walls for event information and advertising; a state-of-the-art Scala wayfinding system; open air terrace overlooking the river for event and community programming.